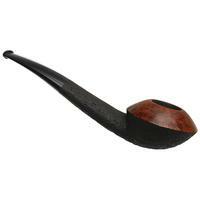 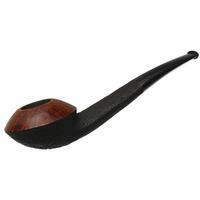 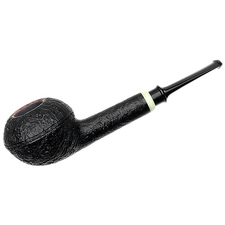 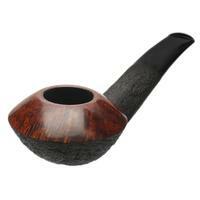 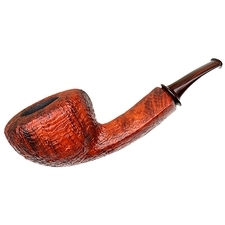 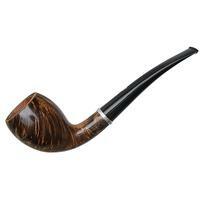 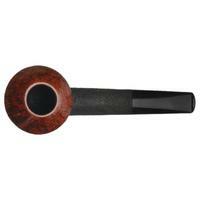 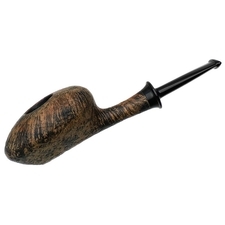 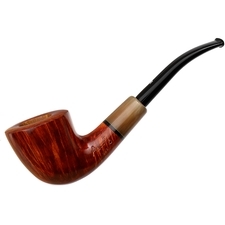 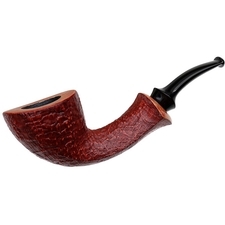 This sort of Rhodesian is a signature of Max Rimensi, with its low-slung center of gravity, precise shaping, and smooth sense of flow from rim to bit. 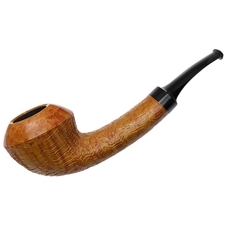 This example uses a more upright bowl, compared to some of his forward-canted numbers, suiting the more structured line of its shank, as well as the dual finish on its surface. 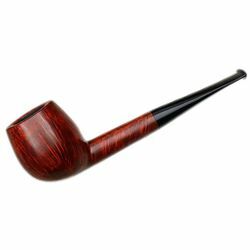 Indeed, that finish is what's most eye-catching about the piece, a crisp and dark-stained sandblast dressing the lower bowl and shank, while a smooth polish and warm contrast dresses the rim, creating a dramatic contrast. 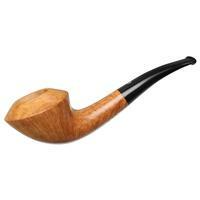 It's neat work, and certainly an impressive take on something Max has revisited time and again.